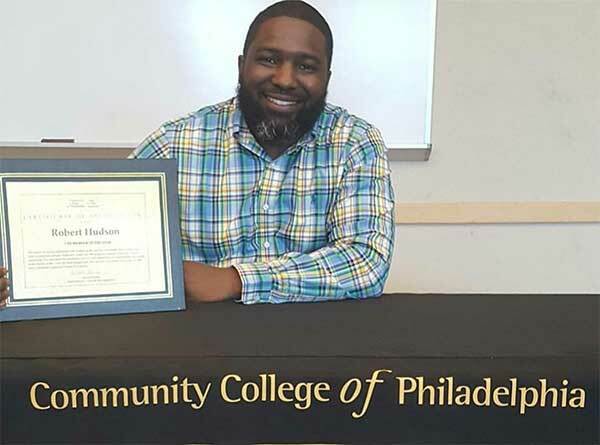 Community College of Philadelphia’s Division of Access and Community Engagement (DACE) offers special programs and services to the adult literacy and developmental student population, the local high school student population and the many other community partners and residents in Philadelphia. DACE focuses on community engagement, educational equity and student success while closely aligning with the mission and vision of the College. ESL Registration is Open for Fall 2018 Classes! NEW STUDENTS MUST TAKE AN ESL INSTITUTE PLACEMENT TEST TO DETERMINE THEIR LEVEL; CALL DACE OFFICE TO SIGN UP FOR TESTING. RETURNING STUDENTS SHOULD BRING CERTIFICATES OF COMPLETION TO THE DACE OFFICE IN ORDER TO REGISTER. Registration is open for Fall 2018 ABE Classes! This is a refresher course in reading and writing for students whose college placement test scores fall below the minimum required to enter developmental or credit courses. This course allows students to build knowledge and potentially score higher upon retesting. Students take the college placement test again after completing the ABE course to redetermine their placement levels for college admission into higher-level developmental or credit-bearing courses. REGISTRATION: Monday, June 18, 2018, to Wednesday, September 5, 2018, Winnet Student Life Building, 17th Street between Spring Garden and Callowhill streets, Rm S3-03, Monday through Thursday, between the hours of 9 a.m. and 4 p.m. Registration is open for Fall 2018 HSE Test Prep Classes! On February 16, the Keystone Education Yields Success (KEYS) program presented “Healthy Relationships, the Art of Healing,” an event that addressed various mental, physical and environmental issues that negatively impact the health of a community. Facilitated by representatives from the Black Women's Health Alliance (BWHA), an organization that advocates on behalf of health care inequalities that women of color face, the event was attended by College students and staff. Information presented at the event prompted questions, and allowed students to engage with the presenters and learn more about valuable resources. On January 2, the Institute for Community Engagement and Civic Leadership officially adopted the Spring Garden School, a K-8 grade school led by its passionate Principal, Ms. Laureal Robinson. The school is located less than a mile from the College in a quaint building that is home to a dedicated teaching staff and almost 300 bright and beautiful children. The Institute plans to host an array of volunteer programs with the school, and invites the entire College community to participate. The families of the Spring Garden School are looking forward to our presence at future events, including Field Day, Teacher Appreciation Day, their Book Fair, parent engagement activities and more. The College is offering various opportunities for those who cannot contribute their time, but would like to give back. There will be donation drives for the upcoming school year focused on collecting uniforms, books and recess equipment, and yearbook funding. On December 22, 2017, the Institute for Community Engagement and Civic Leadership partnered with Community Angel Foundation to fulfill holiday wishes for five families of DACE students and the Spring Garden School, our newly adopted K-8 school. Fourteen children, ranging from infancy to age 10, received gifts they may not otherwise have received — and they couldn’t have been happier! Robert Hudson, an academic mentor and an integral part of the DACE team, is receiving recognition for his work and activism outside of the College. In January, the English as a Second Language Institute welcomed its spring cohort of more than 70 students with a comprehensive new student orientation. Prior to the start of spring classes, students arrived on campus for an introduction to their courses, to learn about program expectations and important resources both on and off campus, and to understand how to plan for their goals after completing the ESL program. Also invited were representatives from the Welcoming Center for New Pennsylvanians’ International Professionals Program. Students were connected with helpful resources, including the ESL Institute’s new on campus tutoring supports.